all the layers are so perfect! love the rhinestones! I love it! It's so fun and creative! 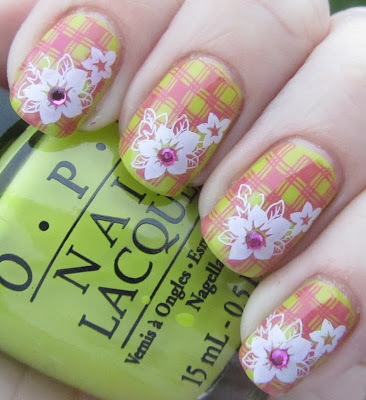 This is such fantastic stamping! Wow, great manicure. I am so bad at stamping, ugh. I think I need a new stamp.